Nearly every leading consumer brand has reached their position by offering more than simply the products they sell. They offer an integrated experience spanning from the atmosphere and design of their stores or spaces, genuine staff interactions that go above and beyond, and often an added benefit such as a complimentary service to set them apart. Behind these exceptional customer experiences sits a carefully architected customer journey map, which serves as the visual representation of the experience your customer has with your brand. Customer journey maps are considered to be the backbone of CX programs. 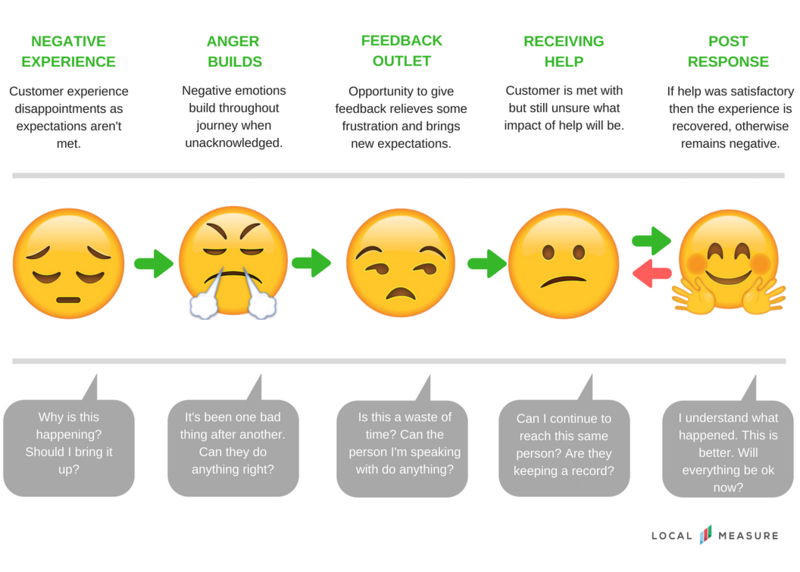 There are many ways to visually represent the journey, but what’s essential to an emotional customer journey map is that it accurately reflects the experience from the customer’s perspective, taking into account their key moments, their emotions and both positive and negative aspects of their experience. How should this new offer be presented to the customer? What will the customer’s expectation be with this new process? Is this going to de-value or make redundant other touchpoints? Will this new process require additional follow-up? Where is the best place to introduce this new process/offer? An inclusive map should help teams understand how different touchpoints relate to each other, the amount of time involved and how the customer’s emotional state evolves throughout the experience. 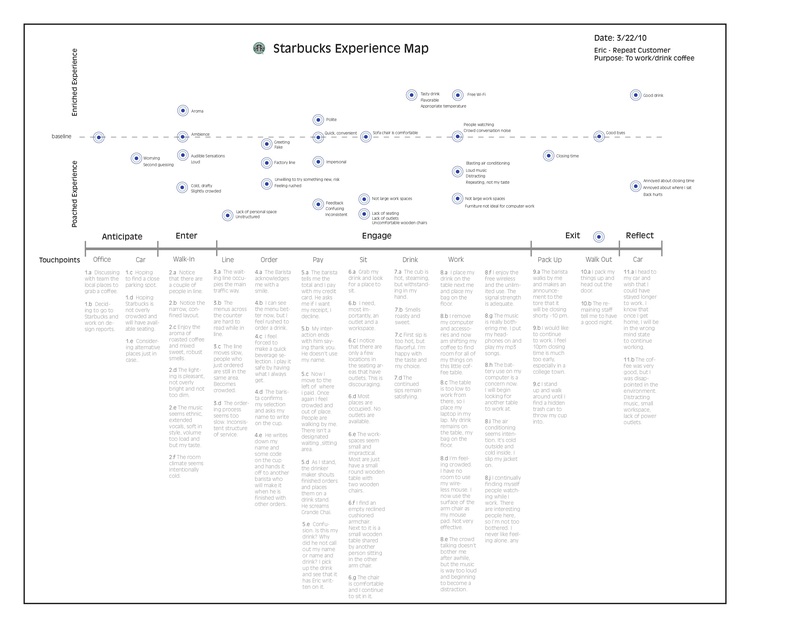 The Starbucks customer journey map is famous with customer experience experts as a highly detailed model that takes into account a range of customer emotions from the moment they think about buying a cup of coffee. The company’s attention to the entire journey has been a key factor in the development of the premium coffee category. Not only does the map show the individual touchpoints and emotional states, it also provides a baseline for what would be an ‘enriched’ experience at each touchpoint and an example of a poor experience. The more perspectives you can involve in mapping out your customer journey the better, as it forces the team to think about their own biases and identify inconsistencies or opportunities. Your team may also want to consider the emotional journey of individual touchpoints to determine the appropriate course of action. If you have been handed down a masterbrand customer journey map from your organization, it can still be useful to consider how it applies to your particular business and how you can make it more specific to your own customers. With a precise lens over your customers and their entire experience, you can better determine the best response and service actions at each touchpoint.